From the Eastern most reaches of Africa in the country of Tanzania, home to the magnificent Serengeti with its abundant wildlife, and the awe-inspiring grandeur of Mt. Kilimanjaro, came the discovery of the century. A precious gem so exotic, so rare, that it is found exclusively in a tiny area just a few kilometres long. This discovery is Tanzanite. Found 2000 feet below the surface, Tanzanite is carefully mined by hand, to avoid damage to the precious little supply the earth has given us. Like any natural material, the intensity of Tanzanite’s crystal blue colour varies from stone to stone. Some people are mesmerised by the cool blue stones, while others are transfixed by the unusual blue-violet hue of the gem. Whatever your choice, the highest quality Tanzanite is now available to you in variable cuts and settings: from elegant classical styles to simple modern designs for the discerning investor. 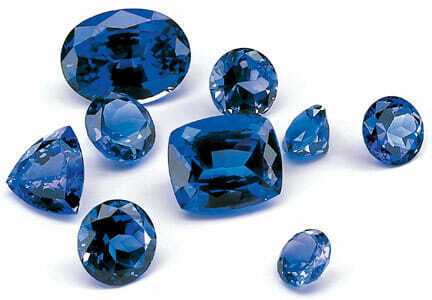 Clean Tanzanite by using a soft tooth brush and luke soapy water. Rinse after cleaning and dry with soft cloth. A general rule with Jewellery is to take it off when working with liquids and even more so with your Tanzanite jewellery pieces. Water compromises the stones vibrancy and shine. If you are interested in purchasing one of our authentic tanzanites, or a tanzanite ring, please visit our contacts page and send us an email. We will be glad to assist you in any way we can.